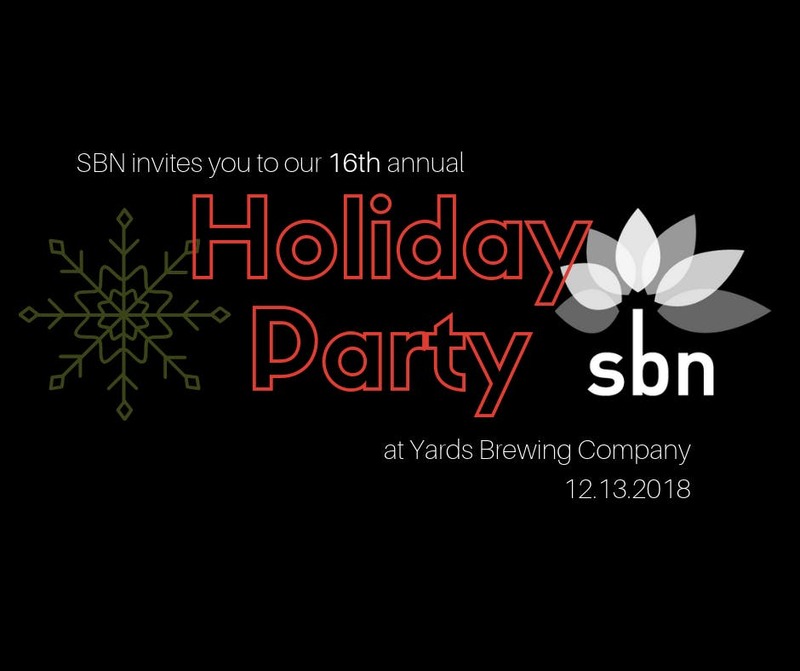 You are invited to celebrate the holidays with SBN at Yards Brewing Company! Each December, SBN’s members, sponsors, allies, and friends merrily celebrate the holidays, the successes of the year behind us, and what lies ahead for the sustainable business community. Attending local economy leaders enjoy Yards beer, open bar, and hors d’oeuvres while exploring connections with other local champions as well as with conscious consumers. As the new year approaches, and with it a continued dedication to our collective vision of building a just, green, and thriving local economy, esprit de corps is always high. Click here to learn more about our generous title sponsor Yard’s Brewing Co. and the Brew Unto Others campaign. Member tickets are $25. Nonmember tickets are $45. Not a member yet? Join today. SBN is a 501(c)3 organization, please consider a charitable contribution this holiday season. Click here to donate.